Get all Fusion 360 functionality for one price. Starting October 7, 2018, we are enhancing Fusion 360 to include all functionality for the single price of $495 USD. Take control of your entire product development process with the removal of the barriers to technology. Gain the freedom to innovate, explore, and make anything. Subscriptions purchases prior to October 7th 2018 remain at the current price for as long as you renew. You will have access to the new Fusion 360 functionality on or before October 7th 2018. The functionality you have access to today will now be at a lower price of $495 USD. To thank you for your loyalty, we are also going to extend your current subscription an additional 24 months at no cost to you. Moving forward you will have the option to purchase cloud credits as you need them. Your Early Adopter subscription does not change. Your current subscription price will remain at the discounted rate of $300 USD (for as long as you continue to renew), as well as 1000 cloud credits granted per year. Whether you subscribe or have active maintenance of either Product Design Suite (Premium or Ultimate) or the Product Design & Manufacturing Collection you will now have access to all capabilities of Fusion 360. Note that the access to Fusion 360 entitlement does not include cloud credits. Students and Educators will not see any change in their product access or features included. Note: generative design technology for Fusion 360 will only be accessible to commercial customers. There is no change to the startup/hobby subscription for Fusion 360 at this time. All users will continue to have access to all features. On October 7th 2018, we are enhancing Fusion 360 to a single product offering. This version of Fusion 360 will include ALL available features accessible to all commercial subscribers (all the current features of Fusion 360 Ultimate). The price of Fusion 360 after October 7th, 2018 will be $495 USD*. 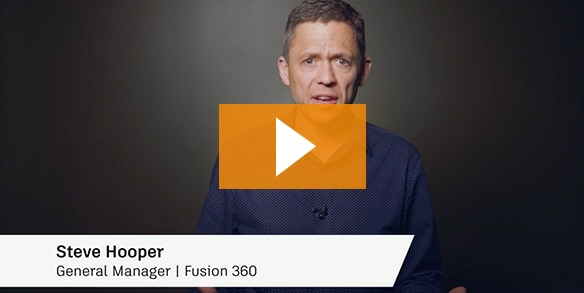 We are enhancing the Fusion 360 packaging to a single offering to allow all customers to take full advantage of the entire Fusion 360 set of capabilities. This includes generative design, advanced simulation, and 5-axis machining. Subscribers will now have access to the full feature set and the flexibility of usage through cloud credits. Cloud Credits for these services will now be purchased independently and available as needed. What will the new single version of Fusion 360 include? The new version of Fusion 360 will include all features and functions available, the same as Fusion 360 Ultimate currently. You can see a full set of features here. What does this mean to Fusion 360 customers? All Fusion 360 commercial subscribers - On or before October 7th 2018, you will receive access to all current capabilities of Fusion 360. New capabilities will be available to all current Fusion 360 subscribers as they become available in the product. For example, generative design in Fusion 360, currently scheduled for an October release, will become available to all commercial subscribers when it is officially available in tech preview. Current Fusion 360 standard commercial subscribers (annual and multi-year) - For as long as you renew*, you will secure your price at $310 USD*. On or before October 7th you will gain access to the additional functionality (see above). Any lapse in subscription will require repurchase at the new price*. After October 7th, any additional seats will be purchased at the new price. It is recommended that you enable auto-renew to secure your current price. Current Fusion 360 Ultimate annual subscribers - No action needed at this time. The functionality you have access to today will remain the same. Additionally, we are also going to extend your current subscription an additional 24 months at no cost to you from the end of your term. After the 24 month extension or to add additional subscriptions, you can do so for the new lower price and purchase cloud credits as needed. Current Fusion 360 Standard or Ultimate monthly subscribers- Your auto-renew will be turned off on Oct 7th. You must purchase a new monthly subscription of the new offer when your current term expires on or after Oct 7th. At that time you can once again enable auto-renew. Subscribing to a new annual subscription will cost less moving forward. Early Adopter Fusion 360 subscribers - We have not changed our commitment to early adopters of Fusion 360. You will receive all the benefits of the Fusion 360 subscription, with cloud credits, at your original price, and going forward for as long as you renew*. New Fusion 360 subscribers - Purchases prior to October 7th 2018 the current price for as long as you renew. You will have access to the new Fusion 360 functionality on or before October 7th 2018. Product Design & Manufacturing Collection or Product Design Suite subscribers - Whether you subscribe or have active maintenance of either Product Design Suite (Premium or Ultimate) or the Product Design & Manufacturing Collection you will now have access to all capabilities of Fusion 360. Note that the access to Fusion 360 entitlement does not include cloud credits. Student or Educational subscribers - Students and Educators will not see any change in their product access or features included. Note: generative design technology for Fusion 360 will only be accessible to commercial customers. Fusion 360 Startup/Hobbyist subscribers - There is no change to the startup/hobby subscription for Fusion 360 at this time. All users will continue to have access to all features. Note: generative design technology for Fusion 360 will only be accessible to commercial customers. Token Flex Enterprise Business Agreement Customers - Fusion 360 Ultimate will continue to be available to EBA customers as a By-Request product that can be added to their contract at any time. The baseline price used to calculate the token rate is not being changed by this consolidation; therefore, the EBA daily rate for Fusion 360 will remain unchanged. Download a free 30-day trial and try it out on your Mac or PC. With in-product tutorials, you’ll be up and running in no time.